It was essentially an opportunity basically to, they said, if all things were perfect in the world, what would you want? This is like going in and saying, there is a Santa and here it is a Christmas list, what is it you want for Christmas? If the question is, “Are we trying to influence them to pass legislation that’s going to weaken environmental laws, that’s going to weaken federal and state air and water quality,” the answer is no. 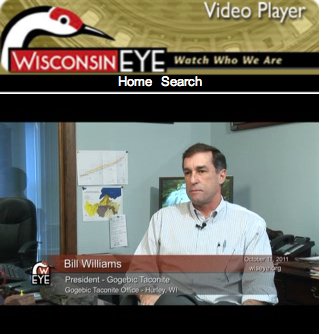 In July 2011, Williams repeated the same lie at a talk in Ashland. But this Christmas, now we know that GTac was in fact authoring the bill while Williams and Fifield were telling us they weren’t. After GTac and other pro-mining interests invested millions of dollars in campaign donations to state politicians, the bill GTac wrote passed in March 2013. Ho ho ho! 293.50 (1) (b) “Sulfide ore body” means a mineral deposit in which nonferrous metals are mixed with [sic] sulfide minerals. Next, they redrew the maps of the ore bodies and denied that sulfides are present where they plan to mine. Then they denied (and continue to deny) the presence of asbestiform grunerite in the Penokee Range that several scientists, Northland College and the DNR confirmed. In their bulk sample plan, GTac omitted streams and wetlands from the maps of their proposed sites. This week, the DNR sent a letter to GTac listing 29 more issues that they are failing to address in their bulk sample plan. GTac surely must have asked Santa to make them blissfully oblivious to the effects of their fake science. 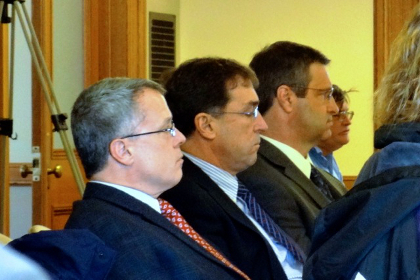 Even though in January 2013 the Army Corp of Engineers warned that the new law would make permitting more complicated and lengthy, notoriously deceitful GTac hussy and thin-skinned bill sponsor Sen. Tom Tiffany (R-Hazelhurst) refused to accept what the ACOE told him. Unfortunately for Tiffany, this week the ACOE issued a letter reiterating that indeed they cannot work with Wisconsin DNR and GTac on a joint Environmental Impact Statement due to the huge difference between federal and state environmental requirements. 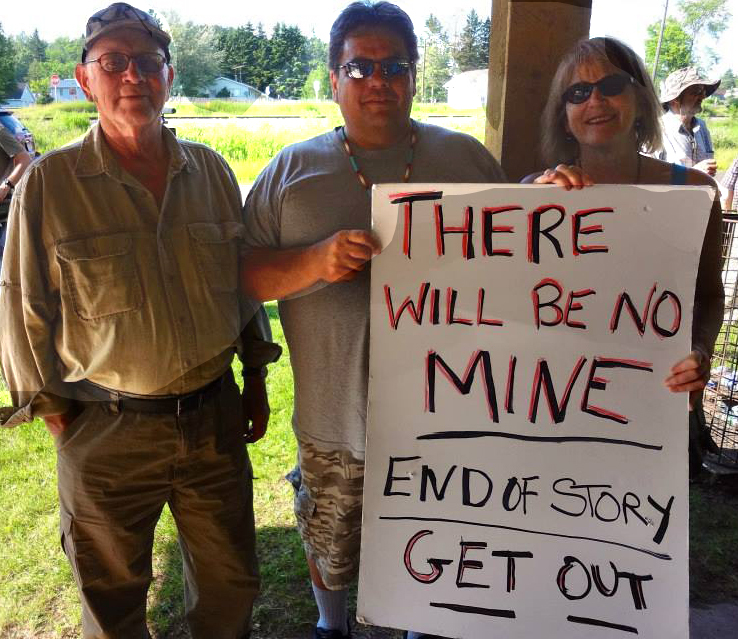 According to former DNR Secretary George Meyer, this ACOE smack-down could delay the project for five years or more, and basically makes Act 1 obsolete since mining companies will have to go through two separate permitting processes. The idea was to put something down on paper, and now when you go to negotiate, there is something in front of all parties. If you start with a blank piece of paper, you can argue for the next two or three years. You put something on paper, now you have something to work with. You started with the framework. Now that you have the framework, you can negotiate back and forth, to work it out with all parties involved. The trouble with this item was that there was no “back and forth” negotiations with the Democrats or other people (see video below). Unless he was referring to the “back and forth” between Scott Walker’s staffer Jason Culotta and GTac lobbyist Tom Pyper. An open records request in December 2012 revealed that Pyper and Culotta were indeed the parties responsible for drafting the mining bill. Democrats made it clear at the first public hearing for AB426 in West Allis on December 11, 2011 that not only were they were not invited to the table to negotiate the “back and forth,” but furthermore they had not seen the bill until a few days before the public hearing. One man’s Christmas present is another man’s lump of coal. Bill Williams is about to be charged in Spain for crimes against the environment. Maybe GTac should have asked Santa to keep that debacle covered up. The complaint filed against Williams with allegations of his responsibility in the poisoning of the aquifers and the wall collapse at the Cobre Las Cruces copper mine reveal the same kind of activity we have seen from GTac here in Wisconsin. Perhaps Bill Williams and his stooges accidentally unearthed an evil Santa, like in the 2010 horror-fantasy film Rare Exports. In the Finnish Christmas tale, miners disturb an evil Santa’s grave and end up paying the price. This year, I asked Santa for peace and justice. I asked that we repeal Act 1 and that GTac leave the state for good. They did it once, I’m sure they can do it again. They certainly don’t need to be spending any more money in a place where no mine will ever be built. Now would be a perfect time to get out, too. End of the year. Just pack up your stockings with their lumps of grunerite, turn off the lights in your shabby office in downtown Hurley, the one surrounded by strip clubs, and just go. Leave us the birds and the bees. And the water.